Roberts and Curry work together on Curry’s typing skills. To qualify for higher-skilled jobs, Curry needs to be able to type thirty words per minute. 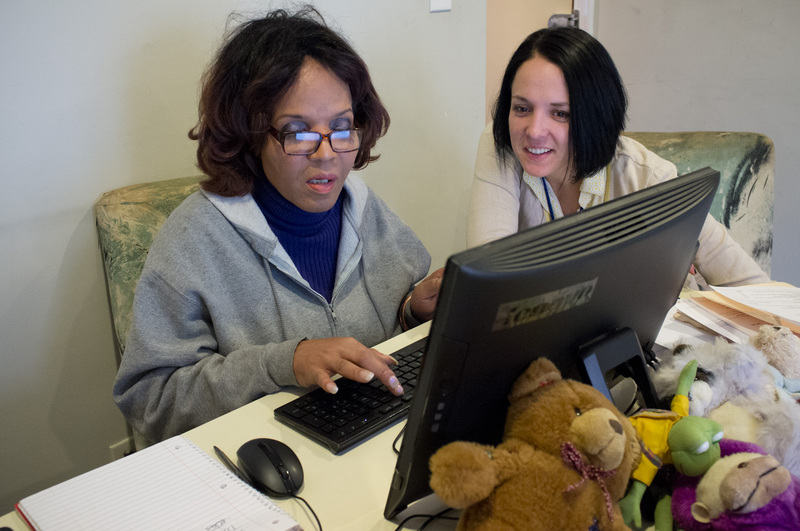 Many seeking work after being chronically homeless, regardless of age, must learn new skills to find employment in today’s digital economy. Afterwards, Curry practices writing email inquiries to prospective employers. “Dee is really motivated to find work,” said Roberts.